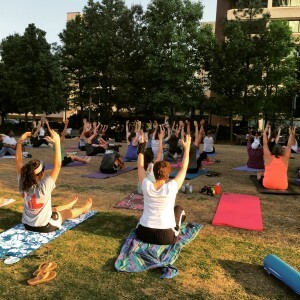 My monthly moment for May is a picture I took at a free outdoor yoga class in Greensboro this month. I picked this image because this was a perfect day with my friend Jessi. The yoga class relaxed me and I was excited to be taking part in activities like this outside. Fitness by the Fountain is just another reason I love Greensboro! 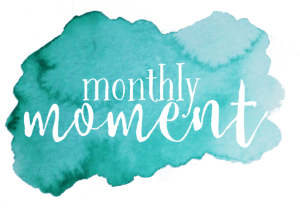 Click monthly moment below to link up and join the fun!